3. Birmingham Blogging Academy - All my posts on blogging, social media and more. 4. Wade Kwon.com - Looking for something good to read? All 679 Sundayread recommendations. 6. Wade on Birmingham - Holiday greetings from the Empire. A couple of new Birmingham Raw posts -- one nostalgic about how Christmas in Birmingham was in 1963. The other forward-looking, floating the idea of bringing together people who once lived in Crestwood -- and still identify with the area - and those who are revitalizing the community and taking it into the future. This post is a toast to 2014. It discusses the blessings of 2013 as well as the trials to overcome in 2014. Divorce, hatred, overcoming cancer, and child abuse are all ugly and unhappy subjects. But, there is a balm in Gilead. Read about the healing. Where I learn about the Prancing Elites. Doh! That should be 2014 LOL. I discuss my unexpected break from my business. 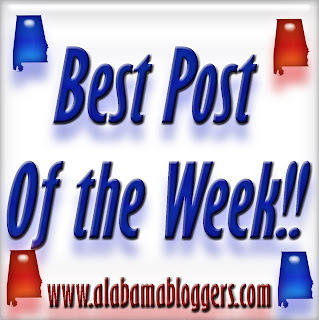 Hello fellow Alabama Bloggers, I think that this network is great. The post that I shared was my best one this week,literally. The post itself received over 10,000 views the first day. Not to mention, the post was one about my favorite rap artist Jay-Z; While attending his concert younger fan nearly, brought him to tears, when he allowed him to join him on stage.